Quality and service comes for us on the first place. 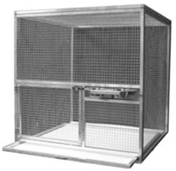 Almost all our aviaries are custom made. From big to small, from hobby to huge birdparks. For Bakker Volierebouw there’s no cage too high. Every measure is deliverable. Also every element is avialable with double-sided wire. 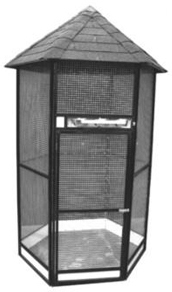 Aviaries will be delivered as a kit. Everything is also deliverable in parts for the do-it-yourselfer (see do-it-yourself). For other measures and wishes, ask for a free offer.